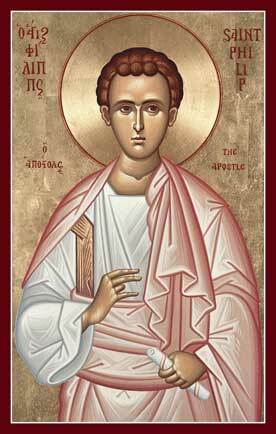 Today we commemorate the Holy Apostle Matthew. Of the Twelve Apostles, Matthew’s story prior to him following Christ is certainly the most colourful. Saint Matthew was a tax-collector for the Roman authorities in Israel, and therefore viewed as a wicked collaborator by most Jews of the time. Tax collection was typically allocated by a “tax-farming” approach; a tax farming jurisdiction would attract many bids from potential collectors, guaranteeing a certain revenue to the State, and the winning bidder could keep any revenue over and above the guaranteed remittance to the Treasury. The concept of transparent tax rates and policies was not well developed, and tax collectors would often intimidate vast sums of money out of businesses and households in their jurisdictions with teams of thugs on an arbitrary basis. Viewed not only as collaborators but as standover merchants, Jewish law at the time forbade Jews to socially associate with tax collectors, and some accounts record that to even mention the occupation was forbidden. That Christ would calmly approach such a pariah and command him to, “Come, follow me!” astounded the Jewish authorities, but as Matthew himself wrote in Aramaic later, Christ has “come to call not the righteous, but sinners to repentance” (Mt. 9: 13). If Christ could reshape the life of such a fallen scoundrel as Matthew to such good purpose, this gives all of us cause for great hope. The same day on which Jesus called him he made a “great feast” (Luke 5:29), a farewell feast, to which he invited Jesus and his disciples and probably also many of his old associates. The last notice of him in the New Testament is in Acts1:13. As I have remarked many times before in these pages, the history of the Church in Georgia is rich with stories and anecdotes of foreigners from countries hostile to Georgia, who have heard Christ’s call to serve, have submitted to baptism and often ordination, and have paid the heavy price of martyrdom at the hands of their own people. The story of Saint Abo Tbilieli is a good example of this. Georgia, particularly eastern Georgia, has a very longstanding relationship with Iran. Many Georgians were carried off into slavery in Iran over the past two millennia, and Georgia served as a battleground between the Roman and Persian worlds for many centuries. The Georgian language has a huge number of loan-words from Persian, and Persian names are commonly adopted by Georgian people. Many historical figures in Georgia, such as King Mirian and King Vakhtang Gorgasali, were of Persian descent. The history of the interaction between Georgian and Persian peoples has sometimes been co-operative and sometime hostile; Persia’s colonial occupations of Georgia were characterised by intermittent periods of toleration and persecution of the Christian faith. This history of the conversion of the Persian military commander Omar to Christianity in 7th century Georgia, his ordination and consecration as a Bishop, and his ultimate martyrdom at the hands of the Persian Zoroastrians, is well known by Georgian Christians, and a reminder that the Church in Georgia transcends race or national origin. It ialso provides inspiration for those who may seek to reach out to the 16,000 Iranians currently living in Georgia; the country has a long history of baptising and integrating Persians, and there are few families in eastern Georgia without a Christianised Persian ancestor. From “Lives of the Georgian Saints” by Archpriest Zacharaiah Machitadze, Saint Herman of Alaska Press. The holy hieromartyr Neophytus of Urbnisi descended from a line of Persian fire-worshippers. In the 7th century, by order of the Saracen emir Mumni (Mu’min), the military leader Ahmad attacked Georgia with an enormous army. After overrunning the central part of Shida (Inner) Kartli, Ahmad dispatched two of his commanders, Omar and Burul, to the capital city of Mtskheta. At the confluence of the Mtkvari and Aragvi rivers, across from the village of Tsikhedidi in the rocky Sarkineti region, the invaders discovered a group of caves and plotted to occupy them. They tried to cross the Mtkvari but were unable. Having suffered a setback, the enemies asked their captives what was located in those caves. They were told that this was the Shio-Mgvime Monastery, where dwelt God’s chosen, who had deprived themselves of every earthly blessing. Surprised at this reply, the commanders decided to pass this information on to Ahmad. Then, as though it were commonplace, Ahmad sent Omar to the monastery to ask the monks to pray for him and remember him at the grave of their abbot, Saint Shio. “Pray for me, O slaves of God, and accept these gifts of aloe and incense. Offer these as a sacrifice to your abbot,” he told them. Approaching the monastery caves, Omar sent a messenger to inform the monks that he was coming to them in peace and bearing gifts. Drawing near to the monastery gates, the commander saw an army of incorporeal hosts descending from the heavens and among them an elder, radiant with a great light. The meek and modest behavior of the monks left a great impression on Omar. He soon understood that the strange armies he had seen on the steps of the monastery were angels of God and that the elder was Saint Shio of Mgvime, abbot of the monastery. He related his vision to the monks and vowed to return to them, receive the sacrament of Holy Baptism, be tonsured a monk, and remain there to join in their holy labors. Soon Omar abandoned all his possessions, his military rank, and his wealth and was baptized in the Christian Faith at the Shio-Mgvime Monastery as he had promised. Two of his slaves were baptized with him as well. Omar received the new name Neophytus (Newly Planted / From the Greek word neophytos, which in I Tim. 3:6 refers to a new convert. ), and his slaves became Christodoulus (Christ’s Slave) and Christopher (Christ-bearer). But the enemy could not tolerate the native Persian’s apostolic activity, and he convinced the fire-worshippers to kill the Christian shepherd. So the unbelievers devised an ambush and attacked Neophytus’ isolated cell, then tied him up and began to mock, curse, and revile him. They knew that Saint Neophytus longed to become like the holy protomartyr Stephen, and they plotted to stone him to death.